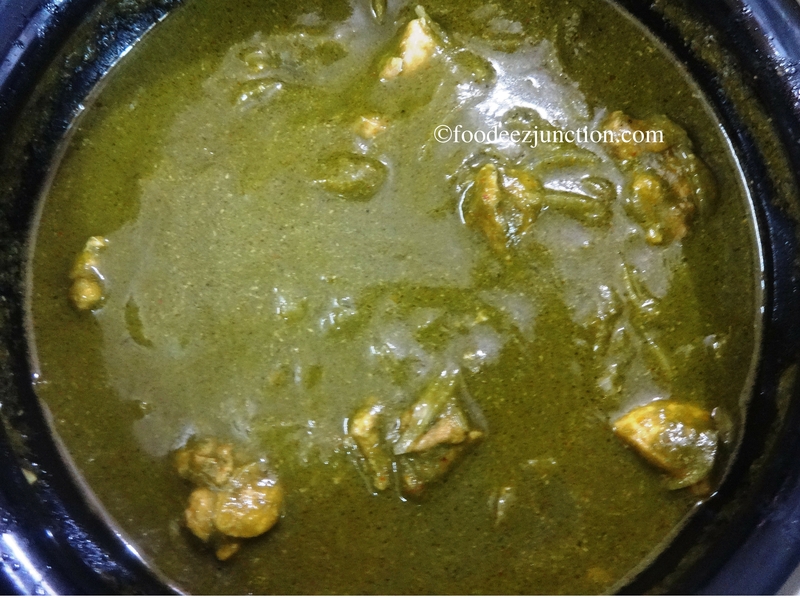 Chicken Saagwala Recipe takes less time to cook and is an easy recipe also known as Chicken Spinach Curry, Murgh Saagwala. Chicken Saagwala or Murgh Saagwala recipe, an amazing combination of vegetable and chicken, is easy and healthy too. When it comes to spinach I always make faces to avoid and go for another cuisine, and if nothing is there, I settle on dal roti. But I’d always thought of an alternative on how to get this avoiding-spinach-sabzi away. 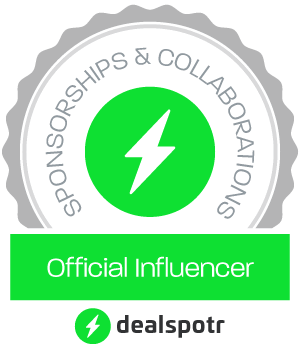 And, lo, I got it! This Chicken Saagwala is just apt. Its taste will, certainly, make you want more. We are on Youtube too. Subscribe to our Youtube Channel and Share the Recipe Videos! The main ingredients of this Chicken recipe are spinach, chicken pieces, tomatoes and Indian spices. I had used boneless chicken but it’s not compulsion, you can use the chicken pieces, with or without bones. Here’s the recipe for chicken spinach, make this dish today and now if you have chicken and spinach in fridge. Time taken: 30 minutes; Serves 4-5 people. In a pressure cooker, add the refined oil and heat it on medium flame. Turn the gas stove to lower flame now and add tejpatta, cardamom pods and cinnamon stick, and fry for 20 seconds. Add onion and saute till golden brown. Add ginger-garlic paste and saute for 10-15 seconds. Now add tomato puree and saute till the oil separates. Meanwhile, in a food processor, blend yogurt for 10 seconds. The yogurt will become smooth. And, thence, you won’t get any lumps of the yogurt in the chicken curry. When the oil starts separating from tomato masala, add coriander powder, garam masala, saunth, green chillies, yogurt and salt as required. Mix well. 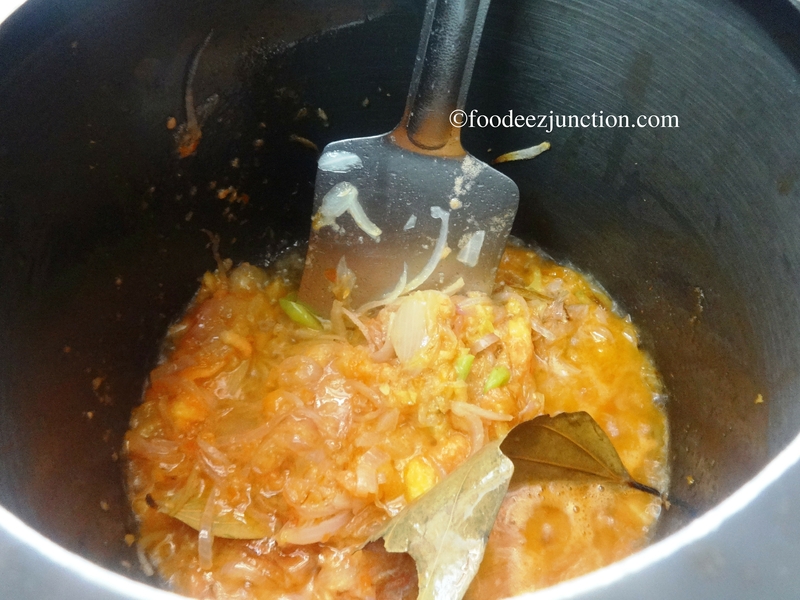 Now add chicken pieces and mix them well with the masala. Pressure cook till 2 whistles and turn off the flame. 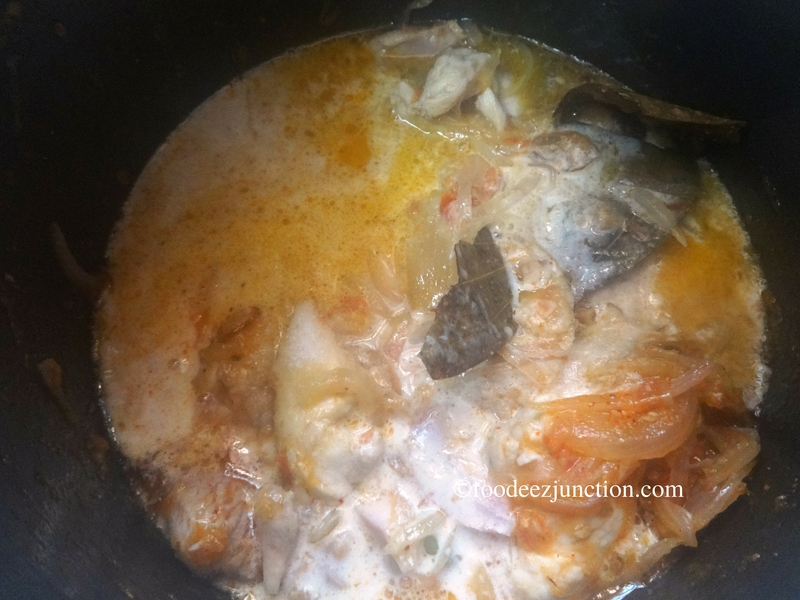 After 5 minutes open the lid of the pressure cooker, put it back on low flame. In a food processor, blend the spinach leaves till puree. 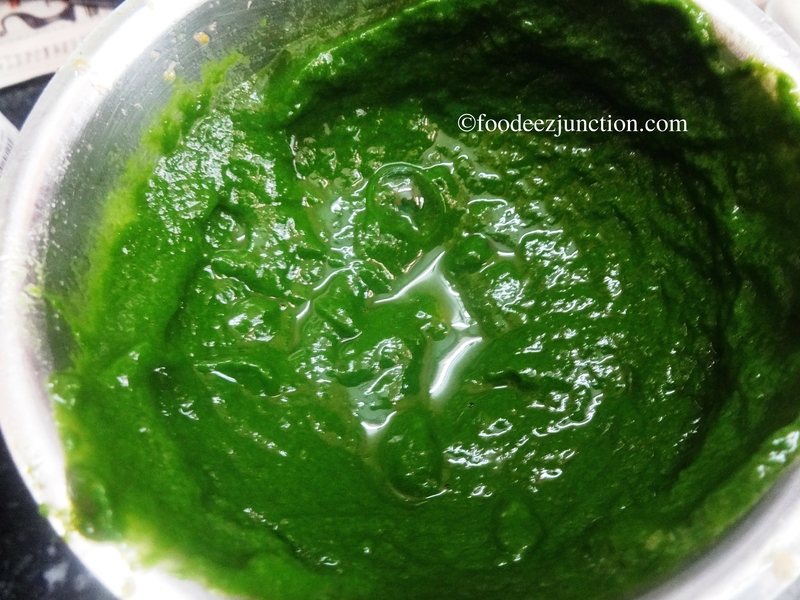 And add this spinach puree to the chicken curry. Now cook it on low flame for 15 minutes. Stir occasionally. After 15 minutes, add 1 tsp black pepper powder and cook for a minute more. Switch off the flame and take the Chicken Spinach curry or Chicken Saagwala in a serving bowl. Garnish with the rest of the kali mirch powder or black pepper powder. 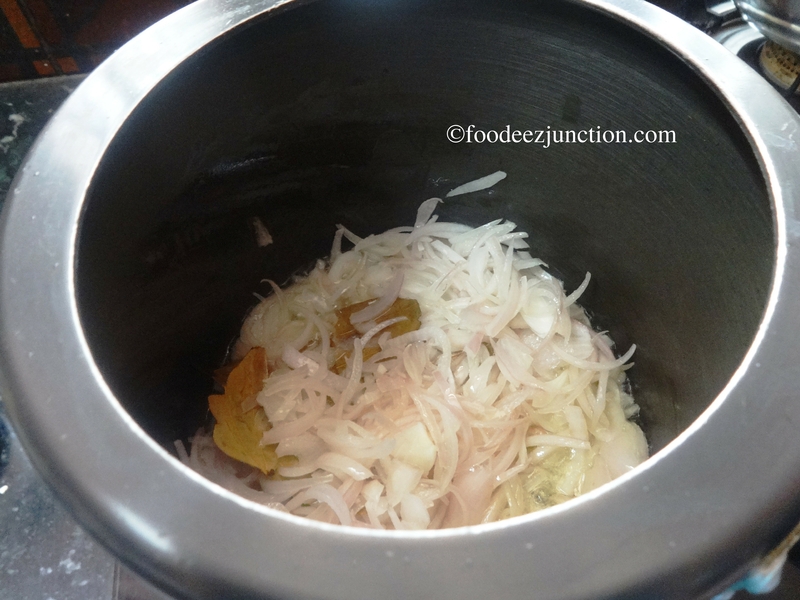 Serve it hot with zeera rice or plain rice, or you can serve it with parathas too. Isn’t this Chicken Saagwala recipe easy to make? Share your cooking experience when you make this Chicken Curry. Previous Post: Recipe for Kadhi Pakora, an All-Time Favorite! An interesting dish. Not very spicy, and healthy too.